It was a time when you could be imprisoned for singing Bayan Ko in public. Ordinary folks clumped together on the street might be violently dispersed or criminally charged with illegal assembly. The invention of mobile phone technology and the World Wide Web was decades away, yet the news was often faked, suppressed and strictly censored by the state. Forbidden truths were spread through mimeographed newsletters and photostats of banned articles smuggled in from abroad. Then as now, priests and nuns, collectively known as the religious, were in the thick of the anti-Marcos martial law struggle. Sr. Helen Graham, MM was one of them. She has spent the past 50 years as a Maryknoll Missionary (the MM after her name) in the Philippines. Sr. Helen was just five years old when she lost her parents: Dorothy Poll and Walter Alva Graham, to TB. They died within months of each other. Orphaned, she lived with her paternal grandparents in Brooklyn, NYC. Grandma Mamie had grown up on a barge and never gotten past the elementary grades, but she was a formative influence. Grandpa Will, a self-proclaimed agnostic and secular humanist with only a high school diploma, enjoyed debunking traditional Catholic teachings. After high school, two years of secretarial training and another two years working for the McCormack Steam Ship Corp., the young adult Helen joined Maryknoll. There she realized her avocation and passion for Biblical Studies. On September 9, 1967, she sailed out of San Francisco bound, not for China, but for the Philippines, over 6,000 miles away. The voyage was 17 days long. She climbed up the freighter’s “monkey watch” to get better reception for the Voice of America on her transistor radio. Even half a century ago, Manila traffic was challenging. A big difference as Sr. Helen wrote to her family back home, was that “there were cows and carabaos, sometimes pigs and goats too, walking freely on the streets with the people.” Within three weeks, Sr. Helen had fallen in love with the Filipino people. She even learned to waggle her eyebrows expressively, Pinoy-style. Three weeks after arriving in Manila, she was off to teach high school in Datu Piang, Cotabato, a town eight hours away from the main Mindanao Maryknoll Fathers Mission in Sasa, Davao by wooden bus over “accordion-pleated dirt roads” as she wrote back in letters home. There was no electricity or running water, but swarms of mosquitos, lizards, rats and bats. “I didn’t mind the critters sharing our house just so long as they didn’t get in my bed,” she lightly recalls her Cotabato posting. 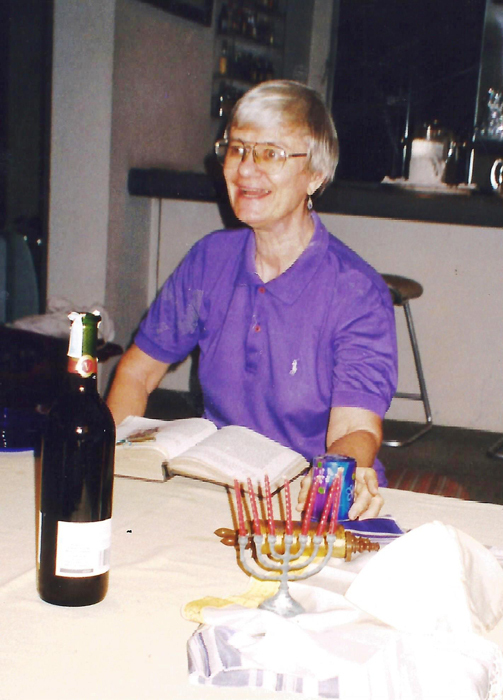 Soon it was decided that Sr. Helen, who had studied Biblical Hebrew at the Harvard Divinity School and taken courses at the Union Theological Seminary, would be more useful teaching in Maryknoll College. She returned to Manila in the tumultuous months before the momentous First Quarter Storm of 1970. She was also a student at “teach-ins,” popular in those days as a means of raising awareness about pressing social concerns. There she befriended activists like the UP student leader Nilo Tayag, then chairman of the Kabataang Makabayan, the Communist Party of the Philippines (CPP)’s youth arm. By the time Marcos declared martial law, Tayag had moved up to CPP Secretary General and was among the regime’s most prized political prisoners. The reality of Marcos martial law touched closer to home when one of Sr. Helen’s students, Tessie Liwanag, was arrested and detained in Canlubang, Laguna, after the Philippine military had killed her husband before her very eyes. In January 1973, Fr. Engelbert van Vilsteren a Dutch Carmelite in Agusan del Sur, was murdered by paramilitary forces. Clearly, not even the foreign religious were safe. Sr. Helen and her fellow Maryknoll Missionaries Annie Maloney and Mary Grenough regularly made the rounds of detention centers. These prison visits were fact-finding mini-missions. Vatican II was in place, so they wore “civilian” or street clothes. The silver Maryknoll chi rho emblem, the first two Greek letters of the word Christ,. identified them as religious. This generally meant the prison guards were less rigorous in their searches. The Associated Press reporter Arnold Zeitlin even disguised himself as a priest to gain access to political prisoners. After Jose Nacu, an imprisoned La Salette priest, escaped, Sr. Helen was “invited” for questioning since she had been his regular visitor. Shaken after her brief interrogation, she nonetheless immediately resumed her visit to Nilo Tayag’s detention center. Later, Tayag was implicated in a botched escape plan to tunnel out to the Pasig River. In those early days of the Marcos dictatorship, religious sympathizers were few. Rare were the likes of Bishop Antonio Nepomuceno, who allowed the use of his name on a plane ticket for the escape of an activist tocayo (namesake). Sr. Helen and John Doherty, S.J. wrote a sociological study about the first year of Marcos Martial Law. Fearing deportation, they used the pseudonyms “Emily Durkheim” and “Felix Weber.” They later adapted their study for an academic journal, using the saintly pseudonyms Goretti and Sale. Sr. Helen was known by many other names through the succeeding 14 years of Marcos martial law. When the Franciscan sister Mariani Dimaranan was detained in Ft. Bonifacio from October to December 1973, Sr. Helen regularly brought her the traditional religious habits. She then took Sr. Mariani’s soiled clothes back to the convent to launder—first removing from the habit’s hem, the tightly rolled up accounts from other prisoners detailing their torture and messages to their families. After Sr. Mariani’s release and the publication of Graham and Doherty’s pseudonymous report on the effects of Marcos Martial Law on the Filipino common tao as well as the religious response to this, the Association of Major Religious Superiors (AMRSP), a forum of the leaders of various Catholic congregations, formed several task forces. Sr. Helen and Sr. Mariani were among the founders of the Task Force Detainees (TFD). Sr. Helen wrote about torture and other state atrocities for the AMRSP underground newsletter Signs of the Times. Marcos shut it down, but it resurfaced as Ichthys, an allusion to the fish as the symbol of the Christians persecuted for their faith after Christ’s resurrection. Ichthys preempted the publication of a letter to then Manila Archbishop Jaime L. Sin: an eyewitness account of the arrest of the activist Ed Senense who had grabbed the arresting officer’s gun. Consequently, he was not just tortured but also thrown from the stockade’s upper floor during his brutal interrogation. Arch. Sin didn’t appreciate having his personal mail published before it had even been delivered to him. Sr. Helen sent copies of local anti-Marcos publications to former Maryknoll missionaries working in the Hong Kong publishing industry. Through them, the articles critical of Marcos’ martial law were published in the Hong Kong Standard. Soon visiting foreign journalists were contacting Sr. Helen to arrange meetings with key Filipinos in the anti-Marcos martial law resistance. As a liaison to the underground, she was usually known as “Dr. Hardy.” She stayed under the radar, ever mindful that as a pakialamera, meddling foreigner, Marcos could have her deported. When Christians for National Liberation chair Edicio De la Torre, SVD, failed to show up for a meeting with a German NGO, “Dr. Hardy” arranged for then-priest Luis Jalandoni to take his place. It turned out that De la Torre had been captured during a sunog (a military mop-up of anti-Marcos activists) in Baguio. Jalandoni is now the chairman of the National Democratic Front of the Philippines (NDFP) panel for the stalled peace negotiations with the Philippine government. Sr. Helen accompanied De la Torre’s mother to visit him in Camp Olivas, Pampanga. Beneath the mangos in her bayong, Mommy De la Torre had hidden a cassette tape recorder to record the prisoners’ accounts of their torture. Over 30 years after the Marcos martial law era, TFD continues its work since there are still nearly 500 political prisoners all over our country. In mid-1973, Sr. Helen and then-Fr. Leoncio “Jun” Evasco (now HUDCC chair and cabinet secretary in the Duterte administration) took a suitcase full of documents about torture and other Marcos martial law atrocities to a visiting Amnesty International (AI) team. To elude bugging, they moved their meeting from the Hyatt Hotel in Pasay to the tree-shaded schoolyard of St. Paul’s College on Pedro Gil. The documents were safely spirited abroad. Sr. Helen and Mary Grenough translated from Filipino or Bisaya to English when two AI representatives met with the families of political prisoners at Maryknoll in Quezon City. AI sent its initial draft report to Pres. Marcos, but he did not comment. AI waited for six months for the Philippine government to respond before publishing. Only then did the Philippine government issue an official denial of the existence of political prisoners and the practice of torture. Joaquin Po of Popular Bookstore published the first volume of torture accounts, which Sr. Helen had put together. American diplomat George Kennan, best known as a Cold War advocate for the containment of the Soviet Union, brought Sr. Helen’s report on torture for the Task Force Detainees’ second book out of the Philippines. Pres. Marcos continued to deny the existence of Philippine political prisoners and the use of torture. Nearly two years after the imposition of Marcos Martial Law, Jose Maria Sison, the head of the CPP, remained at large. He drove a cream-colored VW beetle, just like the Jesuit Provincial Benny Mayo’s. On August 24, 1974, while in his cream-colored VW Beetle, Fr. Benny was mistaken for Sison, and arrested with his driver by the notorious torturer-in-chief Col. Rolando Abadilla. In Camp Crame, they realized they had the wrong guy, but refusing to give up on the Sison connection, a military chopper took Fr. Benny back to the Sacred Heart Novitiate in Novaliches. His poor driver remained in prison. Gen. Prospero Olivas led the 150 ground and air assault personnel who “dashed through the corridors, kicking open doors and pointing guns” at the retreatants: Filipino priests and religious women of various nationalities. Sison was nowhere to be found; but unbeknownst to the raiding team, another political fugitive, a recent prison escapee, was hiding in the ceiling. In the timeless tradition of palit ulo (the exchange of one person for another), the raiding team arrested Fr. Jose Blanco SJ because he was the secretary general of an allegedly anti-government organization. The government-controlled media further claimed that Fr. Joe was meeting with a communist liquidation squad at the Novitiate. This justified the detention of the 21 Student Catholic Action (SCA) youth leaders who were at his workshop on Paolo Freire’s theories of structural injustice. Among the SCA arrested was Karen Tañada, the grand-daughter of Sen. Lorenzo Tañada and great-granddaughter of Gregoria de Jesus (Andres Bonifacio’s wife). Sr. Helen and Sr. Annie Maloney arrived in Crame just as the SCA youth leaders were being moved to Fort Bonifacio and got on the blue Metrocom “Love” buses with them. The young people light-heartedly pointed out the sights on the long drive from Quezon City to Taguig, unfazed by the prospect of prison and a court trial. Meanwhile, Sr. Helen and Sr. Annie wrote down their parents’ contact details on their bare arms. Eventually, the only ones charged with rebellion and conspiracy to commit rebellion were two Joe’s: Fr. Jose Blanco and a lone youth leader, Jose Alto, accused of being part of said liquidation squad. An AMRSP committee led by Fr. Benny Mayo drafted two letters, one mild and the other more militant, for Arch. Jaime Sin to sign. Arch. Sin said he would not only sign the more militant letter but would personally read it aloud during the protest mass-vigil at the Manila Cathedral on Sept. 1, 1974, or a week after the infamous raid. Sr. Helen Graham at 80 years old, Beer and Bible at 30 years, and a Maryknoll Missionary for 50 years. Now 80 years old, Sr. Helen learns each day of thousands more for whom justice is still denied. However, the prospect of a martial law reprise does not seem imminent.